Titanium is a lustrous transition metal widely used by the aerospace industry due to its ability to withstand the harsh condition of outer space. It has also become popular with medical manufactures since it is completely non-toxic to the human body and can be safely. Made of high quality titanium alloy material, lightweight but stronger than steel, lifetime using, high hardness, high loading-bearing. Great for hang your keys inside or outside your pocket, pouches and bags. Easy to add and remove keys. 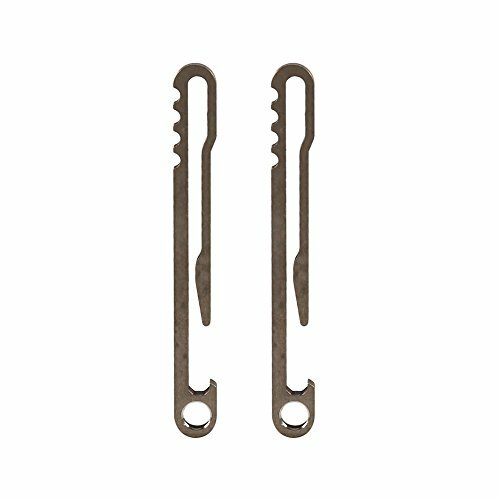 It also can be used as bottle openers which are great for home, camping, hunting, and survival use. When you want to open a bottle, but you forget to take a corkscrew, then this keychain will help you a lot. One objection with multifunction. Specifications: Color: as the picture shows Material: Titanium Alloy Technology: CNC Wire Cutting Length: approx. 70mm Width: approx. 8mm Thickness: approx. 5mm Weight: approx. 7g Package Included: 2 x keychain Note: 1. Please allow 1-3mm error due to manual measurement. Thanks for your understanding. 2. 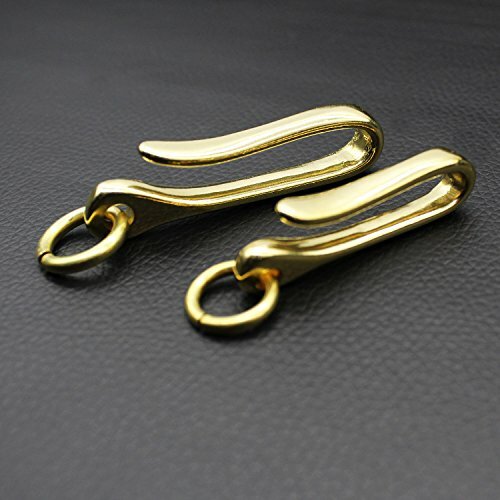 The keychain has limited elastic, it is easy to deformation if you pull it too hard. 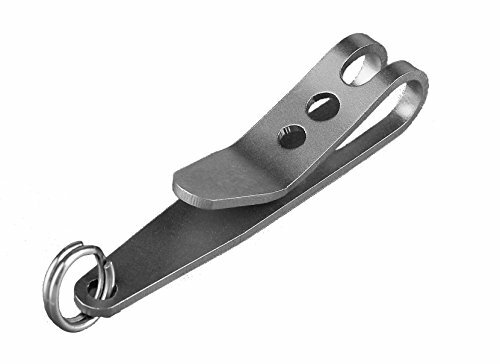 KeySmart Nano Clip | Pocket Clip Key Ring Holder Do you have a bulky key chain? Do your keys jingle while you're walking around? Do you ever sit down and accidentally poke yourself in the leg with your keys? If you answered yes to any of these questions, the KeySmart Nano Clip is meant for you! The KeySmart Nano Clip allows you to comfortably and discreetly clip your keys to any pocket, purse, or backpack. The clip provides a strong connection when attached, so no more scrambling to find your keys, simply pull and go! KeySmart Nano Clip perfectly balances your keys and accessories in a discreet way that is both stylish and sleek. KeySmart was born in 2013 after a $330,000 Kickstarter campaign for the KeySmart Key Holder. We've been eliminating bulky keyrings and freeing up pockets ever since! What is inside: - 1 x KeySmart Nano Clip - 1 x Keyring All KeySmart products are covered by a 2-Year Manufacturer Warranty. 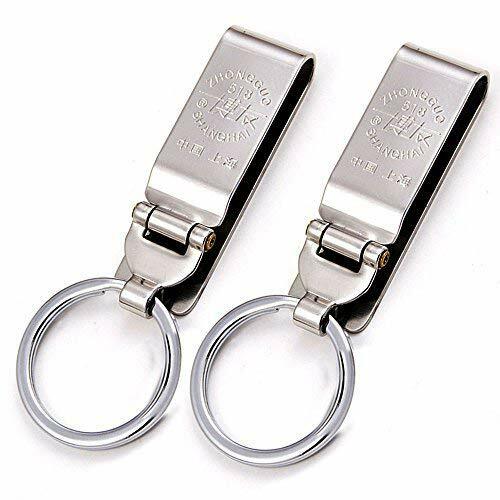 This small but strong stainless steel pocket clip will keep your keys, key fob, pocket knife, zip drive or any small item from sitting at the bottom of your pants pocket, eliminating pocket bulge. Also can be attached to the lip of a handbag to keep keys from falling to the bottom. The simple clip will conveniently attach to most existing keyrings. Sturdy spring tension keeps it attached to top of pocket. Not recommended for belts as it can widen the tension, however the original tension can be easily reset with a pliers (use a cloth to prevent damage to the clip). Attached Mini-Ring enables orienting your large key ring so that it lies flat along your leg. 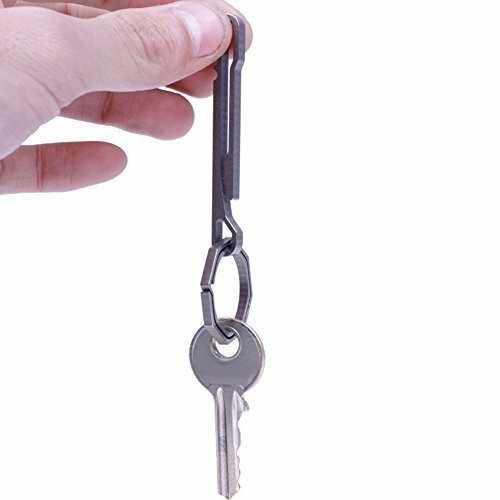 Product Description: The clip-on Key Holder is constructed from durable steel and engineered for years of use. 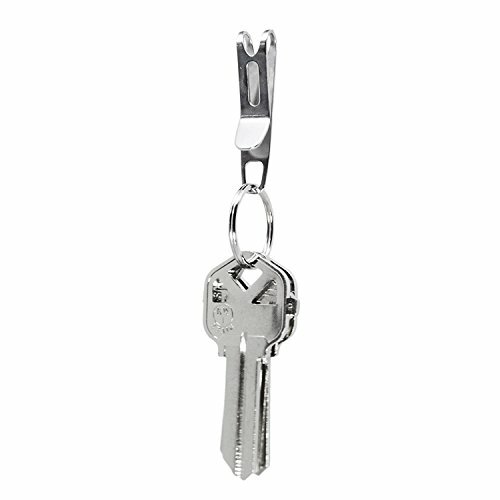 clip-on key holder design allows you to easily attach to most belt loops, purses, or straps. 100% Satisfaction Guarantee! Our main focus it to keep our customers happy. We believe strongly in our product which is why we are offering a market leading 100% satisfaction guarantee. 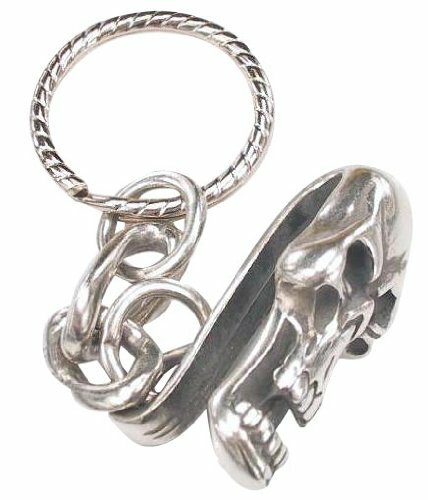 This keychain is great for men or women and is made of fine pewter. Your jewelry piece arrives neatly packed in our signature black velvet bag. 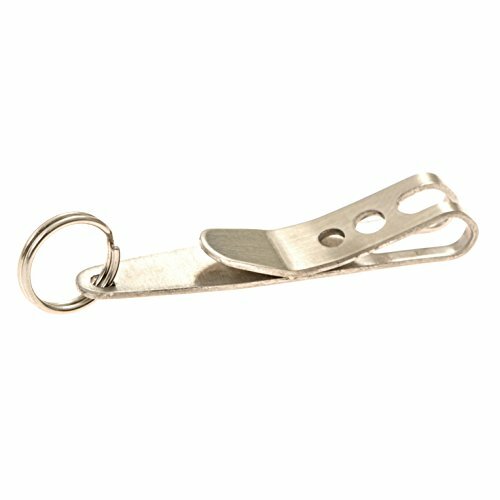 Looking for more Pocket Clip Keychain similar ideas? Try to explore these searches: Fleur De Lis Glassware, Black Game Bibs, and Pet Attire Designer Step. Look at latest related video about Pocket Clip Keychain. Shopwizion.com is the smartest way for online shopping: compare prices of leading online shops for best deals around the web. 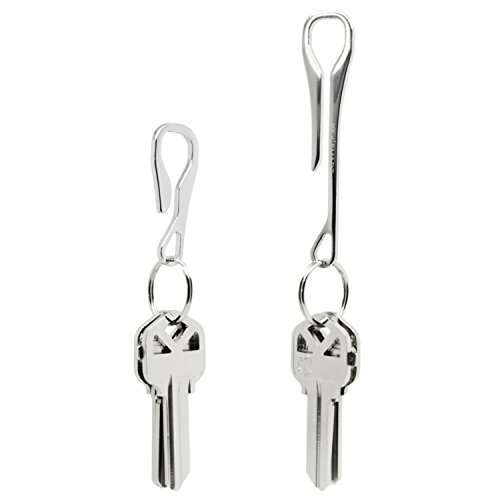 Don't miss TOP Pocket Clip Keychain deals, updated daily.